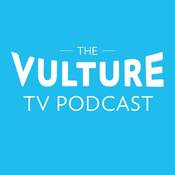 On this final episode of the Vulture TV Podcast, host Gazelle Emami, TV Critic Matt Zoller-Seitz and Vulture Columnist Jen Chaney are joined by producer Jordan Bell to revisit some of the show's best moments. Jen Chaney and Aziz Ansari go into detail about season two of Master of None. They talk about his inspiration for several of the season's beloved scenes, working closely with his family on the show, and working with Netflix. June marks the halfway point of 2017, so Vulture hosts Gazelle Emami, Matt Zoller-Seitz and Jen Chaney talk about their favorite shows and TV episodes from this year. A Closer Look at Better Call Saul's "Chuck McGill"
Hear the live panel featuring actor Michael McKean and Better Call Saul writer-producer Peter Gould as they look closely at their collaboration to make Chuck McGill. Hosted by Vulture's Matt Zoller-Seitz, the panel examines McKean’s career as a dramatic and comedic actor and how he brought Chuck to life. Vulture hosts Gazelle Emami and Matt Zoller-Seitz are joined by New York magazine writer Boris Kachka, who spent months embedded with Damon Lindelof and The Leftovers crew to tell the story of how the finale came together and by Variety critic and Leftovers superfan Sonia Saraiya.